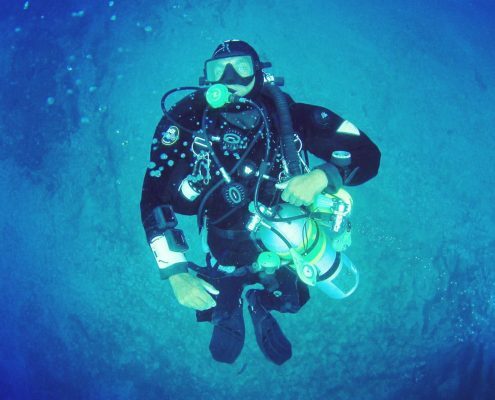 Curious about technical (tec) diving, but not sure about jumping into a course? PADI Discover Tec is a short confined water experience that allows you to give technical diving a try. You get to wear all the extra tec diving gear and take it for a test dive. Your PADI Tec Instructor may introduce a few basic skills, such as primary to secondary regulator switch and gas shutdown procedures.